Our mystery legume seeds from last week were from the Texas ebony tree, Ebenopsis ebano (formerly Pithecellobium flexicaule). 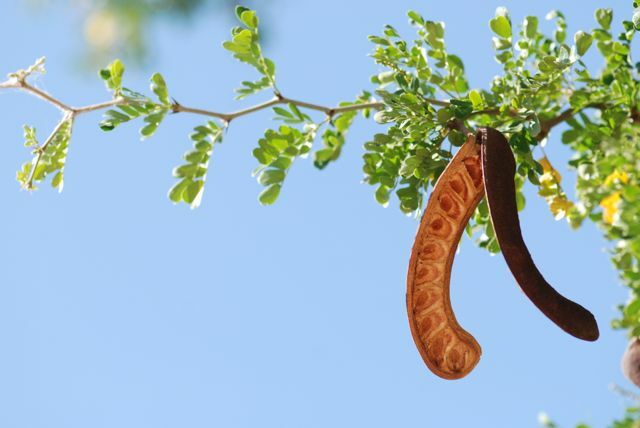 The Texas ebony tree, as its name suggests, is originally from Texas, but it also does well as a landscape tree in Arizona. It is slow growing, eventually becoming good-sized tree. 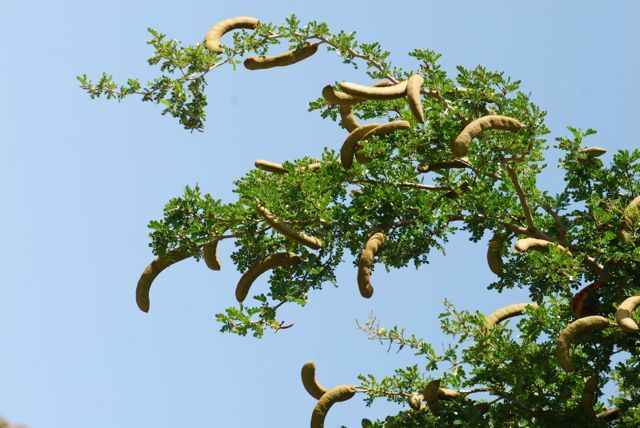 Another common name is "ape's earring" because of the large, persistent seed pods. 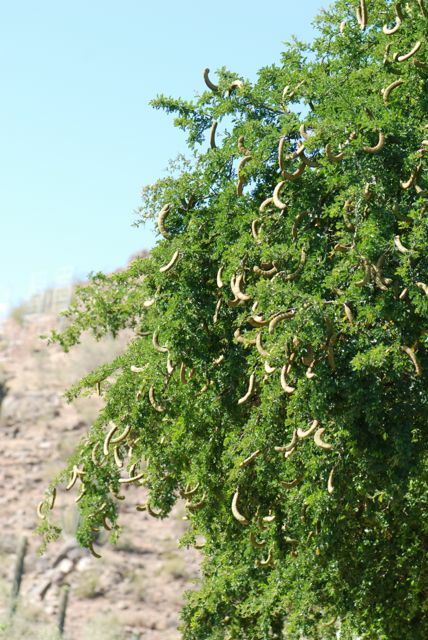 The tree is also known for its lovely dark green foliage, much darker than most desert trees. An unusual characteristic of Texas ebony is that the branches change direction at each node, giving an up-down zig-zag appearance. It also has thorns. 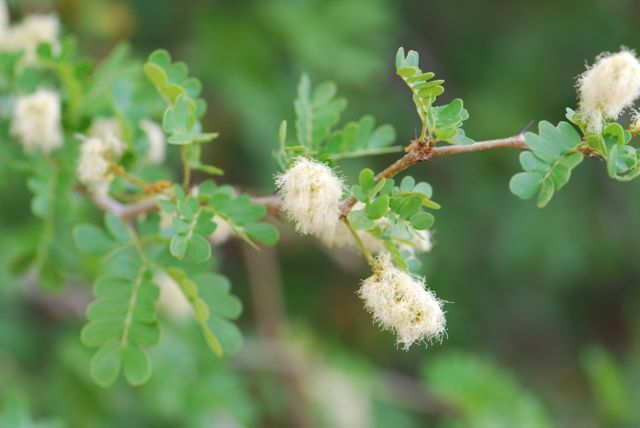 The flowers are creamy-white puffs, similar to acacia flowers. 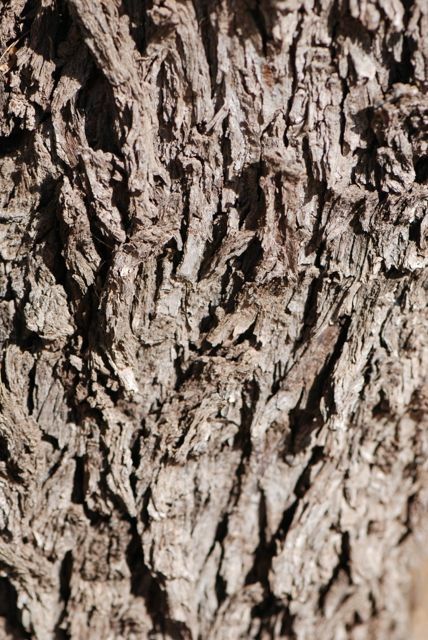 The bark is gray and fissured. So, why is the tree called Texas ebony? It turns out the heartwood is dark red to purplish, sometimes almost black, so it resembles ebony wood. Have you ever seen a Texas ebony tree?